This was a collaboration waiting to happen. Two thriving independent companies finally got together to celebrate their backgrounds. Both grown-up in a punk community they soon learned the best way forward is to do-it-yourself and to do-it-together. A fun capsule collection was born, designed by Blood Flower Designs own Lucinda Livingstone, another active member in the punk community (Lady Fuzz zine and Kamikaze Girls). The products are right in time for Christmas and can be bought separately or in bundles. 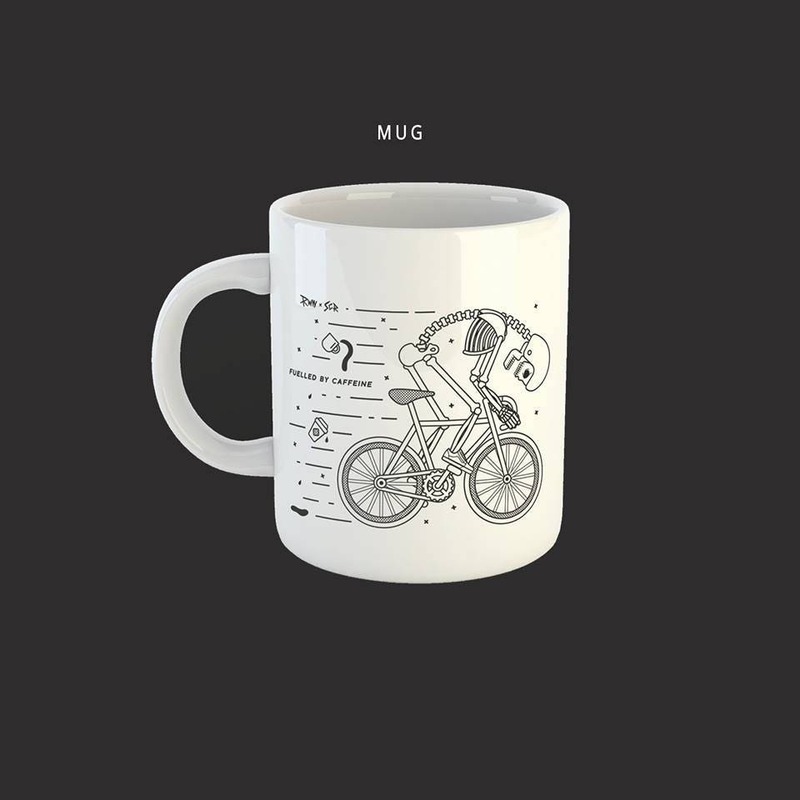 Our 10oz / 284ml ceramic white mugs are printed with the skeleton print on one side and our names on the other side. The mugs are dishwasher and microwave safe (yay)!